The world is experiencing massive changes in eLearning, so the related craze for it is increasing accordingly. Many social learning platforms are making the eLearning environment better accessible and better manageable. The mobile phones are no more the simple phones; they are the smart phones with multi utilities and many attractive features. With the advent of smart phones, learning and development are seeing new types of its patronage. Learning and development is a renaissance, if we talk about optimizing the internet facilities. Every industry experiences ups and downs. It can otherwise be understood as swing of a pendulum. The trend being volatile, the word trend and pendulum are merged together to give the versatile meaning, “trendulum”. Obviously the modern swing of trendulum is more towards eLearning. 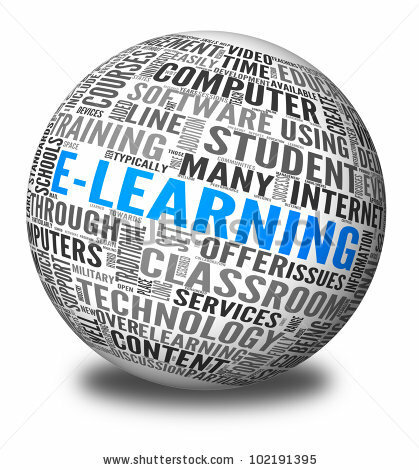 The system of eLearning is considered as the one of the pivotal training delivery systems. 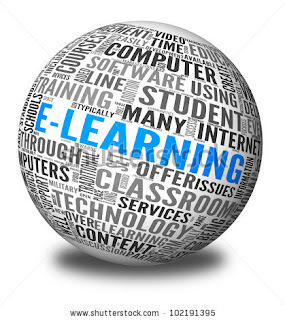 Many researches have already seen and also foresee the obviousness of eLearning. The system is gaining momentum as a vital means of learning, of course with the wings of the internet power. The beauty of eLearning lies in the confluences of mentorship programs, performance support tools, webinars, classroom training, targeted eLearning and above all, the learner generated contents function as the topping of the pudding. Since social learning platforms are becoming the very popular tool, the trendulum swings more towards the learning and development. The best part of it: - all those who are sailing on this eLearning business now, must reap the best, because, due to the learner-centric tools and strategies, the tide is high. Although, business decisions in these days are fully dependent on data analysis, many do not fully support the theory. The supporters of data do never bother for any negativity of the data analysis; they rather throw their hats on to the positive sides of the eLearning prospects. It is the execution of strategic performance, in association with the strategies of improving and finding the solution, which is fully supported by qualitative evidence. The best part of it: As far as the business pertaining to learning and development is concerned, you can extract the best from your data analysis. Sometimes there may be matters of concern such as: some companies may face reduced sales. More sales training are needed here. In some other cases you may face that deals are being closed, it is most likely due to some customers’ objection or dissatisfaction. Here again training to the sales team is only the solutions. Any one, implementing eLearning, is fathoming a technology solution. The power of learning and development can usher in developing dynamic learning solution by harnessing latest technology platforms. The strength of learning and development through eLearning platform is fully reliant on the designing, developing, deploying and maintaining it professionally. The new generation love to remain attached with the peer groups. The new trend also engages each and every one from diverse group or diverse background to share the learning while utilizing the lesson. The amazing part of eLearning is that it converges from different users’ learning experiences that are retrieved from various content driven courses. Study of humanities was relevant in the past and is equally relevant in the present. The study of humanities is the unavoidable discipline and it is beyond any argument that study of humanities will remain equally important in the future too. The fact is our world is shrinking day by day due to the prominence of scientific inventions and the dominance of information technology. But there is no science in this world which is not for humanity or which does not remain inclined to the needs of humanity. The term ‘humanities’ has been derived from the Latin word ‘Humanus’. In Latin the word signifies human, who also means “cultured’ and “refined’ too. Irrespective of any linguistic assertion human beings do possess tenderness, kindness and rationality. All these latent qualities bring forth different connotations being carried by the vehicles of beliefs, values, environments and experiences. All these qualities contribute to the refinement of the basic qualities of a human being. So the thought and belief about the study of humanities has the power of “walking an extra mile in some other’s moccasins”. The illustration of this quotation is, if you are literate in ‘humanities’ you can market your product more than those who are not. No body will deny that cross-cultural understanding will be powerful booty to make use of it in this global village. That is why teaching and learning will always need the humanities, in a substantial way. Humanities constitute many variables. By studying humanities we become closer to many horizons that our life can offer through the profoundness of literature, philosophy, art, music and history. So, any solid grounding to any / many of these studies followed by its perseverance enriches our existence. Any nation can be politically liberal or conservative, independent studies of humanities can lead the people towards better thought processes. It also enables one to catapult the general synthesis of rational of happenings of things. The need of teaching and learning humanities is more prevalent in this virtual world. The more you are exposed to the world, the more you need to learn many languages and foreign cultures. Every country is expanding its business throughout the world. The product may be a simple “pin” or the “powerful medicinal or defense product”, hence knowing or not knowing the local language or local culture will make the difference. Since the vendors are many, the aptness of marketing will be seen through the deal. There are many countries that do not use a single language as the medium of correspondence, rather they oblige and prefer those who come under their language or cultural folds. Japanese audience will love the Japanese speaking vendors. 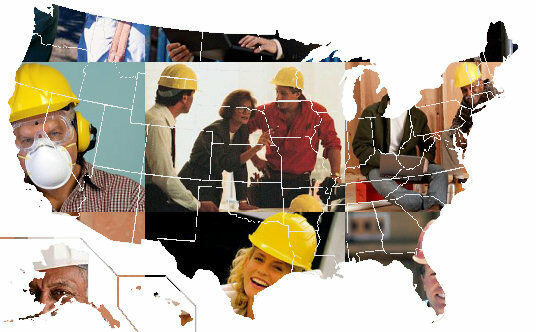 Spanish speaking countries compel the English speaking businessmen to become closer in the language they prefer to. Many such examples can be sited when, albeit many resources, the business world need the support of humanities. Even if there is no obligatory part involved as above, your business can only grow in this global environment if you can communicate freely and frankly with your business partners across thee world. Here comes the benevolence of humanities. Other than business world, scholars / scientists / researchers and such luminaries do not want to be called as ‘awkward social geek’ due to their linguistic problems. They feel relieved if and when they can communicate their ideas to the wider audience. A few may contradict the idea and argue that why the luminaries need the orientations of humanities? The answer is simple, teaching and learning humanitieswill introduce us to the ideas and thoughts to the specialist and outside world where we can enjoy our relevance, attain new directions and also increase our creativity. If a society is to be successful, it has to be assorted with the refined integration of generosity, compassion, civility, charity, altruisms where the characteristics of emphasized and evaluated humanities make its presence felt. Started in April -2012, PracTutor (www.practutor.com) is an adaptive learning platform to help students excel in Math and English. PracTutor is part of emPower Training Solutions (www.empowerbpo.com) that has been providing online compliance solutions to 100+ healthcare practices and hospitals since the last 4 years. Does the cloud provide an easier route to HIPAA compliance? A lot of confusion has been raised regarding the compliance of cloud to the HIPAA. On the contrary, the healthcare community itself is not very sure of it and is looking at it as a double edged sword. The cloud presents you a shimmering picture of cost-effective option. It provides you a solution due to which analyzing massive data and the ability to store will become affordable. But the other side seems be bleaker as there are many who are yet to come to terms with this new rule-set of HIPAA, especially those that are now part of the recently published HIPPA omnibus rule. It is better to dig deeper on this to understand instead of merely speculating on the fringes whether to migrate or not to the cloud? The omnibus rule that was put forth in the last month has further tightened the grip of HIPAA on those who are entrusted with responsibility of protecting the health information.The rule also has increased penalty on the business associates and covered entities, who fail to comply with the HIPAA. At present, there a lot of misconceptions as well as fear regarding use of the cloud. As a result many healthcare organizations and health service providers are shying away from switching over to the cloud. Not taking rescue under the in the latest cloud technology umbrella might result in loss a good deal in terms of both compliance and finances for organizations that wish to play safe. Can Cloud Computing Really Rescue Health Care And Make It HIPAA Compliant? Recent times has revealed to the health care sector the various weird and amazing ways in which data breaches can occur and do occur. Many times it occurs due to infrastructure loss, physical theft, or due to sheer negligence (when someone forgets a laptop or forgets to shutdown their PC). The above scenario of data exploitation and data theft is easily manageable through use of cloud technology. Cloud computing can be more helpful in such cases because herein you can stop the breaches by using services of physical security policies such as the Amazon wherein all the things that can be carried out with the data can be published. Cloud technology is most certainly is far more efficient than what a single group running its infrastructure can accomplish after a lot of personal investment. Of course, reduction in the amount of health data breach is the first benefit of cloud computing. Deft monitoring of security and the privacy of the infrastructure through automation is the second benefit of cloud. Basically, when the infrastructure program is being written, the infrastructure is coded and thousands of tests are conducted on various levels. Such through levels of tested programs provide a secure base that everything is done in order to automate the expected results and that the infrastructure automatically works the way in which you want it to. Hence, when things start showing changes in the infrastructure code you immediately smell smoke and try to find out the reason for it. Trying to search for the reason for changes in your infrastructure ultimately makes you provide more security to your data. HIPAA omnibus rule has placed great emphasis on the factors that can risk the health data and the breach notifications. The cloud services developers provide you with the documentations that carry highly detailed processing systems due to which remaining HIPAA compliant as well as cost-efficient does not seem as uphill task. All the instructions that are part of the cloud computing program are written in plain and simple readable English which can be easily defined by anybody in the health business. This gives the HIPAA operators full knowledge about the compliance and non-compliance and related decision. It also helps even the non-technical staff to gain an insight into overall work pertaining to the HIPAA compliance owing to which the overall efficiency of an organization is certain to elevate. Only six months are left for the covered entities and the partners to become HIPAA compliant and hence it is important that they take steps to understand these benefits of the new cloud computing. Data breaches in health sector have been damaging the credibility of many health institutions and many times the culprits were left untracked as they were much smarter than the security system of the institutions. Shifting to the cloud is a major decision, which can be taken by the entities only when they thoroughly understand its contribution in lessening the burden of finance as well as maintaining to the strict rules of the HIPAA compliance. One wonders, what is keeping these people at the fences when one way or the other they are not left with any other alternative than to migrate to the cloud!